Neil Cross was a name that I was unfamiliar with until early last year, when I was recommended Burial – his debut crime novel – by bestselling crimewriter Peter James. Over lunch last year, I’d asked James if he’d read anything remarkable recently; as an enthusiast of the genre it is hard keep pace with the conveyor belt of crime publishing, and I’m always on the lookout for something new, something fresh. James told me that he’d been bowled over by Burial. So, before pulling it out from my mountainous review pile, I did a little background check on who exactly Neil Cross was. Over lunch last year, I’d asked James if he’d read anything remarkable recently; as an enthusiast of the genre it is hard keep pace with the conveyor belt of crime publishing, and I’m always on the lookout for something new, something fresh. James told me that he’d been bowled over by . So, before pulling it out from my mountainous review pile, I did a little background check on who exactly was.
. Over lunch last year, I’d asked James if he’d read anything remarkable recently; as an enthusiast of the genre it is hard keep pace with the conveyor belt of crime publishing, and I’m always on the lookout for something new, something fresh. James told me that he’d been bowled over by . So, before pulling it out from my mountainous review pile, I did a little background check on who exactly was. Over lunch last year, I’d asked James if he’d read anything remarkable recently; as an enthusiast of the genre it is hard keep pace with the conveyor belt of crime publishing, and I’m always on the lookout for something new, something fresh. James told me that he’d been bowled over by . So, before pulling it out from my mountainous review pile, I did a little background check on who exactly was. Cross has written five previous novels of general/literary fiction as well as a memoir of his childhood entitled Heartland. He was lauded by the London literati, as well as being long-listed for the Man Booker prize. As bizarre as this sounds, these were the reasons why I had resisted reading his work, as it felt ‘too literary’ and ‘too heavy’ for me, being a genre hound. Things changed when I discovered that Cross was the lead writer for the BBC TV drama Spooks (BBC America title MI5) which is one of the few TV shows I watch. Cross’s first crime fiction novel is a wonderful gem, and an uneasy tale of the consequences that pave our life. During a party, two losers called Nathan and Bob find themselves in a sordid drug-fuelled ménage à trois with a young woman named Elise, who dies in the back of their car. They decide to bury the girl and return to the party as if nothing happened. As grubby as all this sounds, things get far worse for Nathan as his conscience starts to play tricks on him … in the shape of the dead girl’s presence. Nathan finally moves on with his life and is partnered with a woman who keeps his ‘ghosts’ at bay until Bob appears years later, warning him that builders are about to start work on the wasteland that conceals Elise’s remains. Cross avoids the potential cliché path, but instead makes your skin crawl as the relationship between Nathan and Bob becomes strained under the pressure of their secret. There is dark comedy at play here, but combined with Cross’s narrative skill we get a view of a personal hell from Nathan’s fevered mind. The climax is wonderful, really cathartic bringing closure for both Nathan and the reader, trapped in the narrative. Reviewing this remarkable novel is like walking on a minefield, as one has to avoid spoiling the tension and surprises with which Cross peppers the narrative. I found all of his novels to be troublingly brilliant. I use the word ‘troubling’ as his work does make one reflect upon life, and the bumpy path that peppers our journey, with some of the bumps perhaps being fatal should we be unlucky. After the wonderful Burial Neil Cross provides yet another great urban thriller with Captured released this month. Middle-aged portrait painter Kenny has been diagnosed with a malignant brain tumour and has mere weeks to live, so he decides to help four people who added meaning to his life, before he dies. The first two people are only incidental to his life, but even so Cross bestows the meetings with such compassion and meaning that it makes you stop and think about your own existence, and how some people who you interact with randomly, can make a dent in your reality. The other two on Kenny’s benevolence list are his former wife Mary, as well as a girl who showed him kindness when he was a lonely schoolboy: Callie Barton. Kenny’s a misfit; his mother died when he was very young and his upbringing was carried out by his artist father, who did the best he could, but was somewhat eccentric the way only an oil painter can be. Kenny’s journey to track down his schoolfriend Callie Barton proves a dangerous path, because he uses a retired policewoman and her private detective. The path leads to Barton’s husband, a man who may or may not have killed her, and so the ticking clock of cancer in Kenny’s brain starts to move faster as he takes the law into his own hands. Kenny decides to discover the truth about Barton for himself as his way of settling his affairs before his life runs out. Filled with very short chapters, I read the novel in one sitting, and very fast, as Cross avoids detailed description, but rather uses spartan sentences, which amazingly put detailed pictures into your mind – many of which are very unsettling and worrying. Cross’s style is ‘less is more’ as he weaves a tale effortlessly and deploys judicious editing, so there is not a wasted or rattling word in the slipstream as the pages turn. But key to the proceedings is a sense of compassion and morality that the tale is anchored upon. In 2009 Cross was one of the featured authors at the Harrogate Crime Writing Festival, as there was a theme of ‘crime fiction in film’ to the event. Fellow screenwriters David Simon, George Pelecanos and David Levien were also speaking at Harrogate, so thanks to Simon and Schuster UK, I got to spend a little time with him and recorded this interview. It was tremendous fun talking with him as we discussed Marvel Comics, Patricia Highsmith, his screenwriting work on Spooks as well as his own entry into the crime fiction genre, so we hope you enjoy this exchange. Ali Karim You’re renowned for both your screenwriting as well as your novels – what came first? Neil Cross The novels, I guess, because I’m a novelist by trade but that being said, I really became a novelist by writing comics when I was a kid. I wrote my own superhero comics in my youth, which looking back is not that far removed from screenwriting, if you understand storyboarding. AK American Comics? Marvel? DC? Jack Kirby, Stan Lee, Steve Ditko, etc? NC Absolutely. I think Steve Ditko’s Machine Man is a great under-appreciated classic. AK A surreal coincidence, last year I interviewed Bob Crais here at Harrogate and we talked about his love of American Comics. In fact, his first published work (like my own) was a letter in Marvel Comics and we both won a No Prize. NC Very cool! For me Marvel comics taught me a great deal about story-telling, about character, about conflict, in fact I have to say anything of worth that I learned as a fiction writer came from Marvel comics. AK Would you care to give examples? For instance, what about Frank Miller’s Daredevil? NC Frank Miller’s run on Daredevil in the 1980s were seminal. 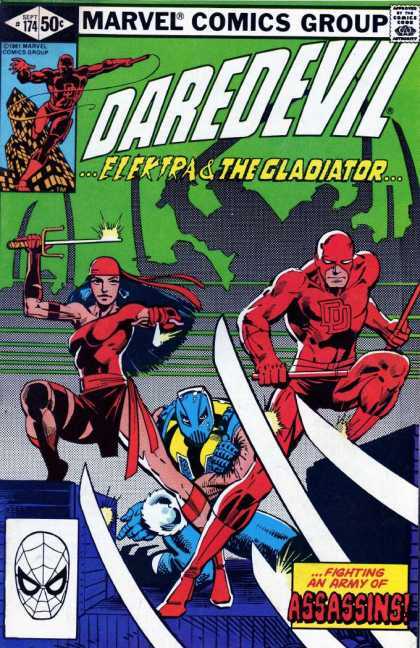 There’s one in particular when Daredevil faced a really psychotic villain … I think he was called the Gladiator. AK Talking of psychopathic villains – Bullseye? Kingpin? AK Do you remember when he wrote an issue where Daredevil fought The Hulk … can you imagine a blind guy fighting the Hulk? NC Hey, that was one of my favourite comics ever; that brings back great memories. You really feel the violence of that almost absurd situation: a blind superhero heroically battling something as menacing and as powerful as the Hulk. They started the next issue in a hospital – genius, sheer genius. AK Sorry, we’ve digressed, so back to Neil Cross. After several non-genre novels you penned Burial, which knocked my socks off. The book has the themes of morality and trust, which incidentally are also themes you mine in Spooks – would you agree that these are themes that interest you? NC Absolutely. One thing that interests me about American crime fiction, particularly if it has a unifying theme, is ‘free will exercised as sin’. This is opposed to much British crime fiction, especially during the – so-called – golden age, which is about the restoration of order; someone’s been killed, things are out of whack, for Christ’s sake let’s get things back to normal, so things can run smoothly. I’m more interested in ‘free-will exercised as sin’ as opposed to the ‘restoration of order’. AK I guess you must have read Patricia Highsmith then? AK So am I. In fact, I have what my wife terms my white Tom Ripley suit. And coincidentally many critics have termed Burial as very ‘Hitchcockian’ … and it was Hitchcock that that filmed Highsmith’s debut novel Strangers on a Train. NC Yes, there’s a psychological marriage between Hitchcock and Highsmith, they suit each other very well. AK So, going back to Highsmith, is it just her Tom Ripley novels that you enjoy, or do you enjoy some of her other amoral tales? NC Though I’ve read many of her books, short stories, but not all of her cannon, and of course there are a few that are just not up to her best work, but one non-Ripley novel that sticks in my mind is Cry of the Owl which features a woman who falls in love with her own stalker. It would barely be publishable today, but in Highsmith’s world it makes perfect sense. AK The weird thing about Highsmith was that she was highly acclaimed in Europe, but rather less so in her native America; in fact she lived for many years in the UK before making Switzerland her home. Maybe Tom Ripley was the precursor to Dr Hannibal Lecter, the amoral, but charming psychopath/sociopath; something that perhaps doesn’t settle as well in the American psyche as in the European one? NC That links to my theme of ‘free will exercised as sin’ and therefore must be punished, and Highsmith just doesn’t punish, she observes; in fact she was known to sign books as Tom Ripley from time to time. AK Going back to Burial, the two main characters Nathan and Bob are not very appealing as protagonists go, but the book is riveting. How did you manage to pull off such an engaging tale with two unattractive protagonists? NC That in itself was a difficult contrivance; part of the genesis of Burial was to see if I could make characters as amoral as Patricia Highsmith and get away with it. To some extent that answer was no, because I just couldn’t as I am so exercised by morality, but I can write about guilt. So to a degree Burial was an intellectual challenge to see what I could get away with and still make people side with the main characters. AK Well, you pulled it off. Now, I heard that you relocated to New Zealand and you work there, so how long have you lived out there? AK And how did you get onto Spooks? Did you know David Woolstencroft? NC No, it was a series of accidents and coincidences. In order to teach myself to write screenplays, I adapted my novel Always The Sun and the right people saw it. I had a literary agent and that helped get the script read. A film and TV agent then agreed to take me on, and he took my screenplay to several people, who all liked it and that got me the job to write for Spooks, bizarrely. AK As Spooks doesn’t have any credits on screen, what episodes did you pen? NC I did episode nine on series five, then I became the lead writer on series six and seven. AK I watch very little TV, but Spooks is a must for me. I really loved the two-parter in series seven, when the Mossad agents impersonate the Arabs in the embassy siege. That was like a mini-movie, with the end sequence, when the lead Mossad agent is sent to Guantanamo Bay, truly mesmerising. The final image hypnotic. NC Thank you, it means a lot to me. AK But how do you manage to write Spooks while in New Zealand? And can you tell us a little about the writing process? NC Well, I’d come to London for the initial story conferences where I would sit with the producers and a couple of the other writers in a room, and we’d discuss what the stories for the series would be. These conferences would be really broad brushstrokes, themes, so for the most recent series I was very interested in exploring cold-war themes, which the producers responded well to. Then from these brushstrokes, we’d discuss what would happen to the characters during the series, and what we’d like to do to them, in very broad terms. An example would be I’d like to see this character fail, so what would that character do in a situation like this … And you’d come up with story ideas for these broad outlines, and then specific episodes appear by a mysterious process which I don’t really fully understand. It’s part inspiration, part algebra and part sheer reading of the news. AK I recall the series that focused on Iran – it was bang up to the minute in terms of the real world. AK But hey, you had the episode on the financial crisis, about the run on the British banks! NC Precisely! You do find yourself reading newspapers more intently when you’re gearing up to write a series of Spooks, and you just look for throbs of the future. AK Now, can you tell us if you’re working on novels, and perhaps writing another crime fiction novel? NC Yes, the next one’s finished: Captured and out in January 2010, and although it’s very different to Burial, it delves into similar territory. AK Trust and morality themes? NC Yes, trust and morality and the terrible things we do for love. NC And thank you for yours – meeting a fellow American Comics reader and Patricia Highsmith fan was especially fun. 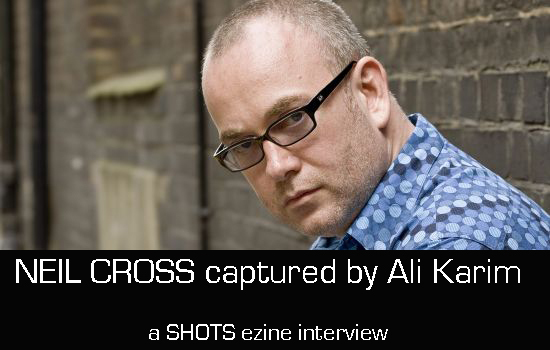 Shots would like to thank Neil Cross and Anna Robinson of Simon and Schuster UK for arranging this interview.